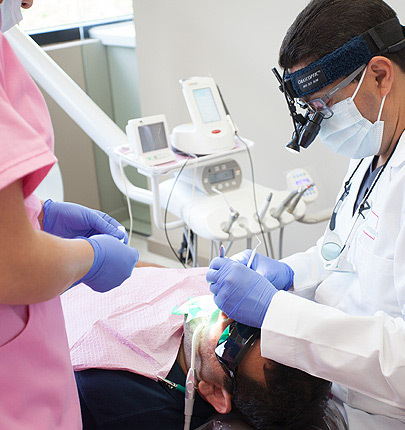 Using advanced technologies to view your tooth’s interior, our entire team of trained dentists specializes in delivering targeted, effective treatment easily and comfortably. Ranging from routine procedures to more complicated surgical procedures and root canals, our specialists are experts in treating traumatic dental injuries. At DentistArt, we are specialists in saving teeth by treating the dental pulp and tissues that surround the tooth’s root. Our goal is to preserve natural teeth whenever it is possible. We do this by treating diseases that affect the tooth’s pulp and nerves, including severe decay that can result in the loss of the tooth.